Home / Looking for Local Solicitors in Gosforth? Geoffrey Lurie Solicitors are a full service law firm based at Regent Centre, Gosforth just outside the centre of Newcastle. 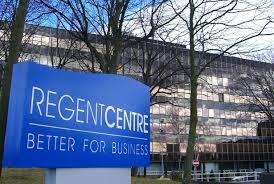 The Regent Centre in Gosforth has excellent access to outstanding communications by road and rail. This excellent road link is complemented with the Metro rapid transit system with car parking. we are minutes away from the bus station and Metro station which are just around the corner. Having been established in the local area for over 60 years, we have amassed an unrivalled wealth of experience in many sectors of law. We offer our clients the best of both worlds – modern, streamlined legal services delivered through a traditional solicitor-client relationship. One of our specialisms at Geoffrey Lurie is conveyancing law, for which we have a dedicated in-house team of expert solicitors. If you are looking to buy or sell your house in the Gosforth, Newcastle area, the conveyancing team at Geoffrey Lurie has a depth of knowledge of both the legal process, as well as that of the local area. This website will tell you about our services and a little more about the legal issues that we deal with. If you want to find out more, please contact us directly and find out how we can assist you. You can call us on 0191 466 1444 or e-mail advice@geoffreylurie.com leaving brief details and your phone number.